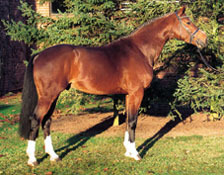 From similar Dutch blood lines as Toronto, Uccello is a masterful jumper and dressage stallion. 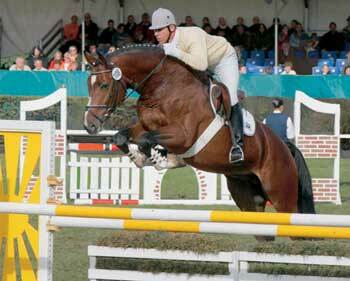 His sire Now or Never is a son of the famous Voltaire, a Grand Prix show jumper. Now or Never ranks among the top five on the German Breed Value Estimation, and his son Uccello always delights the audience with his unlimited potential and typey progeny.